Are you interested in purchasing Jake 2.0 as a DVD box set? Let Paramount Home Entertainment know that a market exists for such a release! Join the jake on dvd campaign to help get the series released as a DVD box set. Updated the news with info on Jake 2.0 on SciFi Channel in January 2007.
do you have a Jake 2.0 fan site? would you like to become an affiliate? UPN has officially cancelled Jake 2.0 and have no plans to air the final four unaired episodes at this time, and series star Christopher Gorham is current starring in a new CBS series Out of Practice. While this means the end of new Jake 2.0 adventures for now, fans still have hopes regarding the future of our beloved spy-fi series in one form or another. Join the jake on dvd campaign to help get the series released as a DVD box set. DVD sales have helped series such as Firefly and The Family Guy win a new lease on life in the form of the big-screen movie Serenity, and FOX's announcement that Family Guy will return to the airwaves in 2005. So fans can make a difference. It just takes dedication, enthusiasm, faithand stamps. Lots of stamps. And we have stamps and enthusiasm in abundance, don't we? Need to get caught up on breakout hit Ugly Betty before the series returns in 2007 with all-new epsiodes, featuring Christopher Gorham in the recurring role of Henry? ABC Family will be showing an Ugly Betty marathon of the first 10 episodes New Year's Eve, starting at 9 am! 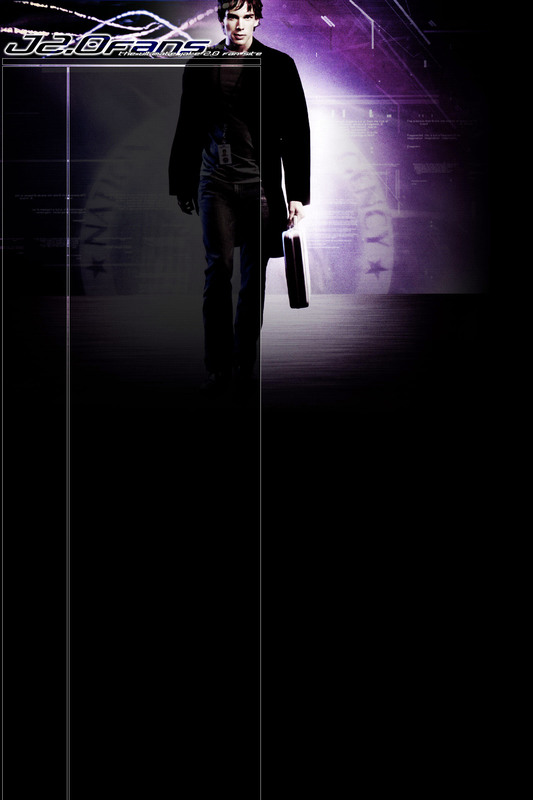 Jake 2.0 will begin airing on SciFi Channel in the United States beginning 5 January, 2007. SciFi will air the series in 3-episode chunks beginning at 8/7C, with the previously unaired on UPN episodes Blackout, Get Foley, Dead Man Talking and Upgrade airing in February. Check out their Jake 2.0 mini site for more, and check local listings for time and channel in your area! Christopher Gorham has joined the cast of Ugly Betty, in the recurring role of Betty's love interest, Henry the Accountant. The series, which is based on the popular telenovela Yo Soy Betty La Fea is produced by Jake 2.0 creator Silvio Horta, and airs Thursdays on ABC. Judith Scott appeared in episode 1.12 of the Showtime original series Dexter, in what could be a reoccuring role in the second series. Dexter is currently available to all Showtime subscribes On Demand. For mroe information, contact your local cable provider, or check out SHO.com. In the UK, The first series of Dexter will begin airing on FX starting in November, 2007. According to Patricia Heaton's official website, The Futon Critic, Philip Anthony-Rodriguez' pilot for ABC did not make it to the 2006/2007 season. At the Television Critics Association's summer press tour, the president of ABC, Stephen McPherson said: "We really felt that it never got to the level that we needed." Silvio Horta has a new gig! Horta joins Ugly Betty as the executive producer/showrunner. The series, which is based on the popular telenovela Yo Soy Betty La Fea and follows the life of Betty Suarez as she navigates the oh so shallow waters of a top New York fashion magazine without losing her sense of self or her optimism. The series is produced by Salma Hayek, and stars newcomer America Ferrera as Betty. Christopher Gorham will appear in the ABC Family movie Relative Chaos, costarring with Buffy alumns Charisma Carpenter and Nick Brendon. Gorham stars as Dil Gilbert, a member of the ultra-competitive Gilbert clan. Will Gilbert (Terry Bradshaw) decided to instill confidence in his kids by creating an annual week of competitive games where the winner takes home the family trophy, The Gilbert Cup. Never victorious, the last thing Dil wants is to spend time with his siblings and parents, but his new girlfriend Katherine (Carpenter) a highly driven business consultant, has vowed that this will be Dil's year even if it kills him. Relative Chaos will premiere on ABC Family September 4, 2006 at 8/7c and will repeat throught the month. Christopher Gorham's series, Out of Practice has been pulled from the schedule and CBS currently has no plans to screen the unaired episodes. Amazon.co.uk is asking how many fans are interested in purchasing Jake 2.0 on DVD! So head on over there and let them know fans are clamouring for a Jake season box set.